Egypt's tourism revenue sank by 41 percent to $5.9 billion in 2013 compared to a year earlier, Tourism Minister Hisham Zaazou said on Tuesday, a further sign of pressure on one of Egypt's main sources of foreign currency. The tourism sector in the Arab world's most populous nation has shrivelled since former president Hosni Mubarak was toppled by a popular uprising in 2011. After a slight improvement in 2012, tourism took another hit in 2013 due to the violent clashes that followed the ouster of ex-president Mohamed Mursi in July after mass protests against him. 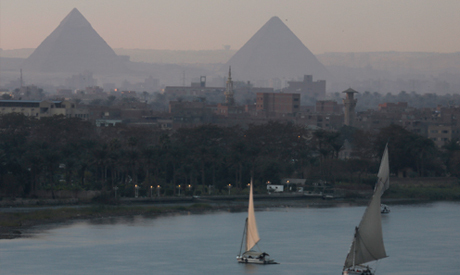 Zaazou, in a text message to Reuters, confirmed Egypt's tourism revenues in 2013 reached $5.9 billion. "The number is correct and for the year 2012 it was $10 billion," he said. Tourism receipts in the first quarter of Egypt's financial year, which starts on July 1, tumbled to $931.1 million down from $2.64 billion a year earlier, according to central bank data published last month. The number of tourist nights spent in Egypt between July and September fell by 57 percent to about 15 million and the average visitor's spending also dropped compared with a year earlier, the central bank said. Egyptian foreign exchange reserves hovered at $17.03 billion last December. They stood at $36 billion on the eve of the revolt against Mubarak. Story has been edited by Ahram Online.